Callisto Crate is a monthly Canadian book box that launched last year. Their mission is to create book boxes that feature strong women and their compelling stories. #shereadsfiercely The novels selected span a variety of genres. Some examples so far have been historical fiction, women's fiction, and fantasy. In addition to the book, the box includes items inspired by the novel and its characters. I love that this company was started by two moms who met at the playground. 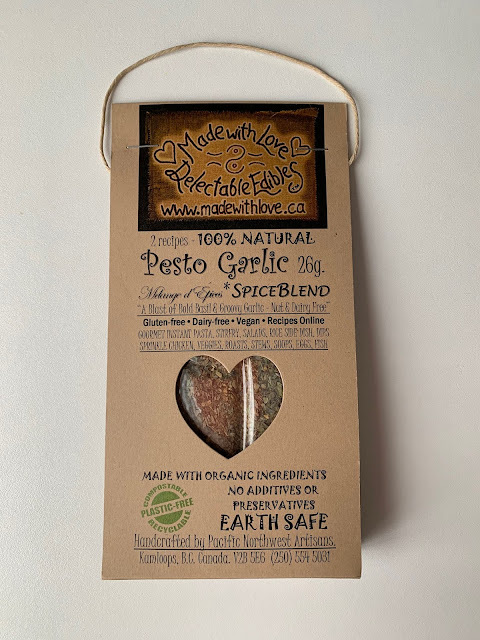 I love their efforts to include local vendors, and I especially their commitment to donate 1% of all profits and products to the Kamloops Y Women's Emergency Shelter to support women and children seeking safety from violent situations. Cost: $49.95 + shipping. There is a discount when you sign up for a 3-month subscription. You can also take 10% off your order with the promo code messy10. *Also - be sure to check out their sale on past boxes. The shipping is currently free! To begin, there is an art print from one of the founders, Tara Pastro. This watercolour is connected to the story because the protagonist of the novel hates tulips. On the back of the print is a summary of the box theme and contents. This theme is The Elephant in the Room. The debut Callisto Crate featured a debut author: Gail Honeyman and her novel Eleanor Oliphant is Completely Fine. I haven't read this book yet, and I've heard nothing but good things. Such a wonderful selection! Plus, this bookmark with a quote from the book is such a nice touch. Next is an elephant tea strainer and Darjeeling tea (Eleanor's favourite!) from Teaberry's. I was pleasantly surprised with how much tea was included. It will last me a long while. Eleanor always has a shopping bag with her and has frog pouf at home, so those two traits where represented together with this frog shopping bag. Eleanor has pesto pasta every day, so this box includes pesto mix from Made With Love. To celebrate their inaugural box, Callisto Crate also included a small candle with a quotation from the book. Finally, a crossword puzzle about the novel because Eleanor loves crossword puzzles! The products selected really bring the theme together nicely. Many of the items are custom-made, so it's not easy to give exact values for each item; however, I really love this box and the vision of this company. To sign up for future Callisto Crates, or get your hands on a past box like this one, visit their website. And remember to use the code messy10 for 10% off! Disclaimer - I was sent a complementary book box from Callisto Crate for review purposes. All thoughts and opinions are my own.